Numerous pro-life speakers championed the interests of expectant mothers and the unborn as they emphasized the priceless value of human life at a variety of venues before the 2016 March for Life. 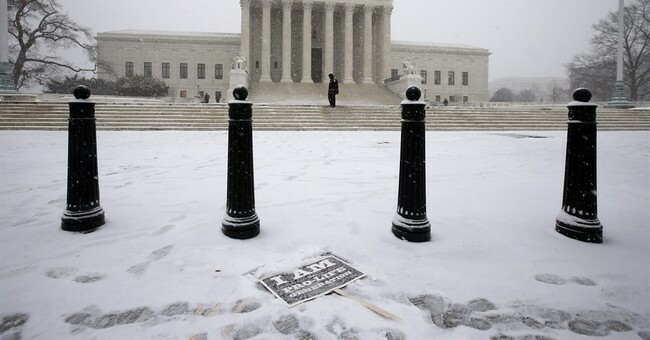 The march drew tens of thousands of supporters to Washington, D.C., despite an approaching blizzard. The march took place on January 22, the 43th anniversary of the 1973 U.S. Supreme Court decision Roe vs. Wade that legalized abortion throughout the United States. Since then, more than 58.6 million legal abortions have taken place in a country that has a current population of 322.87 million people. As a result, the equivalent of one out of every six Americans has been aborted since 1973. But the Centers for Disease Control and Prevention (CDC) has reported that the overall number of abortions in the United States is falling. Based on data from 47 state health departments, the CDC reported 699,202 abortions in 2012 to mark the lowest total the agency has recorded since 1973. The numbers use the most recent information available but do not include abortions from California, the most populous state, or from New Hampshire or Maryland. The CDC reported 13.2 abortions per 1,000 women aged 15-44 years in 2012, with 210 abortions per 1,000 live births. Women in their twenties accounted for the majority of abortions. In recognition that many pregnant women face challenging personal circumstances, Patrick E. Kelly, chairman of the March for Life, told attendees at a rally before the march that they were there to convey a message of love to both expectant mothers and their unborn babies. Kelly said those present for the march were participating in the largest and most important civil rights demonstration in the 21st century in support of both women and the unborn. To the contrary, Kelly said the pro-life movement is grassroots based from communities and towns across America and unabashedly seeks to protect human life. Kelly cited a newly released Marist Poll as evidence that the message is resonating with more than three-quarters of Americans now agreeing that U.S. laws should protect both mothers and unborn babies. “The same poll shows that despite the popular narrative that our country is evenly split on abortion, eight in 10 Americans support substantial limits on abortion – and this even includes two-thirds of those who say they are pro-choice,” Kelly said. Kelly told the marchers that their support shows America is moving toward becoming a country where every life is “a gift” to be cherished and protected. “Abortion impacts women negatively, both psychologically and physiologically," said Jeanne Monahan-Mancini, president of the March for Life Education and Defense Fund. While speaking at the pre-march rally, she added that the same poll cited by Kelly found that a large majority of Americans believe that abortion hurts women. She added that roughly eight or nine out of every 10 unborn babies known to have a serious disability is aborted. Republican presidential candidate Carly Fiorna also addressed the crowd prior to the march and said the “establishment media and political class” gloss over what the abortion industry is doing. Fr. Chris Seith, a priest at Our Lady of Mercy in Potomac, Maryland, told several thousand worshipers during a March for Life Mass on Jan. 22 at the Verizon Center in Washington, D.C., that the legalization of abortion has created a culture that diminishes the value of human life. The March for Life organizers expressed hope that the new Marist Poll indicates their message of love for expectant mothers and their unborn babies is catching on and helping to build support for a culture that values every life at all of its stages.